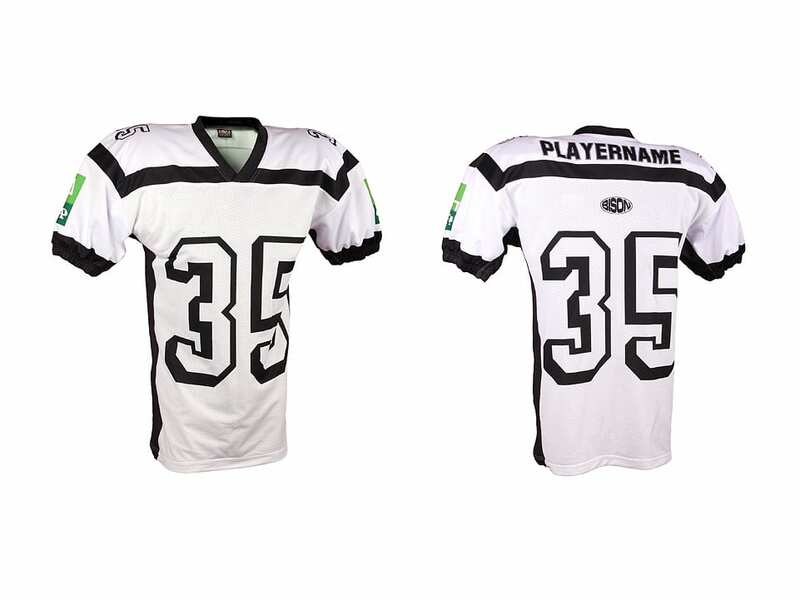 American football jerseys, pants | Bison Sportswear. Similarly as rugby, American Football puts great demands not only on the physical and psychological preparation of female and male players, but also the jerseys have to handle graceless treatment. It has to withstand excessive stress but at the same time be comfortable and functional. 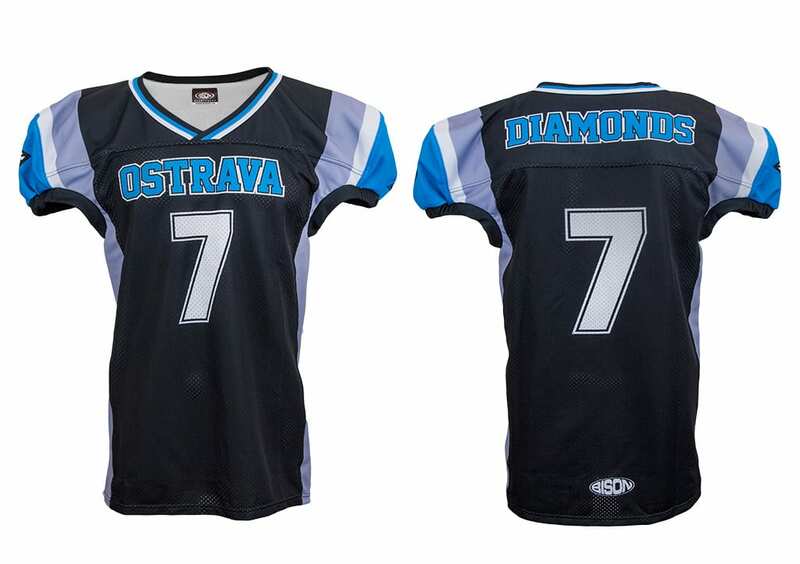 In the manufacture of jerseys to American football, we use original materials that allow us to achieve the same quality as those made overseas. They are very durable, flexible and pleasant materials manufactured specially for this sport. 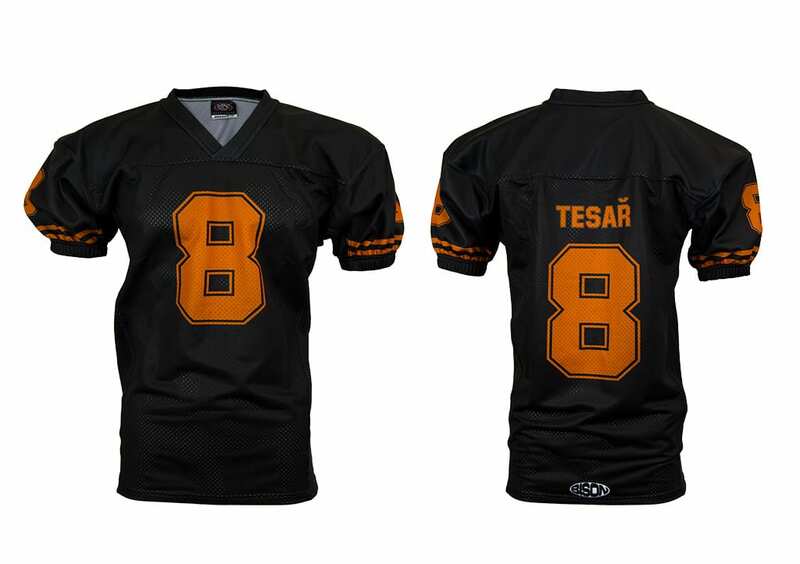 We produce jerseys for American football in three designs: KLASIK, PRO, STAR. 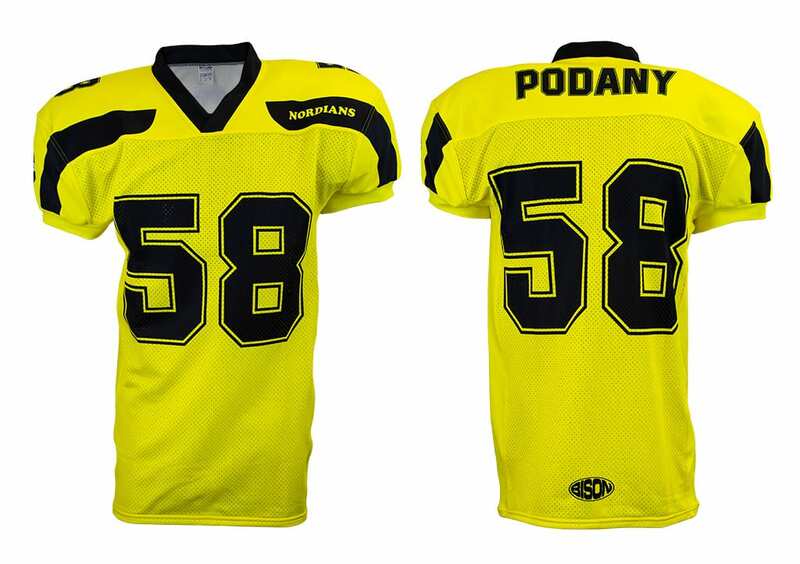 For juniors, we also offer FLAG jerseys – jerseys adjusted in pattern in raglan design. The STAR design has a new jersey pattern. 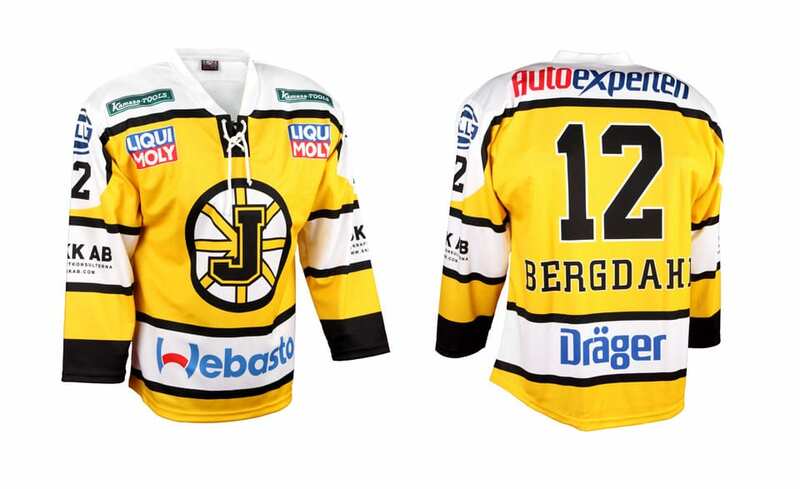 It is an innovative and technically elaborated model of the jersey. The sleeve fixation solution is also interesting. Also, the length of the sleeves is tailored according to the latest trends. The finish of the back part of the jersey, the side part of the jersey and the connection of the front and side part of the jersey are also innovatively developed. Pants for American football provide maximum durability, professional appearance and especially comfort for male and female players. Pants are manufactured in a special pattern that provides a feeling of complete freedom. They are manufactured from 100% polyester, which is a lightweight, elastic, air permeable and has an extraordinary strength. All seams are double quilted by a special stitch using two-core threads. A broad elastic band is used at the waist, which in combination with the belt, allows perfect fixation on the body. The front part is without the lacing. The end of the pants is secured with elastic band under the knee. The pants have standard internal pockets for knee and thigh pads. We supply pants without pads due to individual requirements on pads. American football pants can be printed with a sublime print by design according to your wishes. Pokud si nevyberete žádný model dresu z naší nabídky, nebo požadujete dresy v originálním designu,můžeme v našem grafickém studiu společně s vámi vytvořit originální dresy podle vašich představ. Příprava grafického návrhu je zdarma. Samostatná výroba se vždy uskuteční až po odsouhlasení vzorků nebo tiskových náhledů. V případě ztráty nebo zničení vašich současných dresů vám rádi zkompletujeme neúplné sady zhotovením podobných dresů tak, abyste i nadále mohli tyto dresy používat.